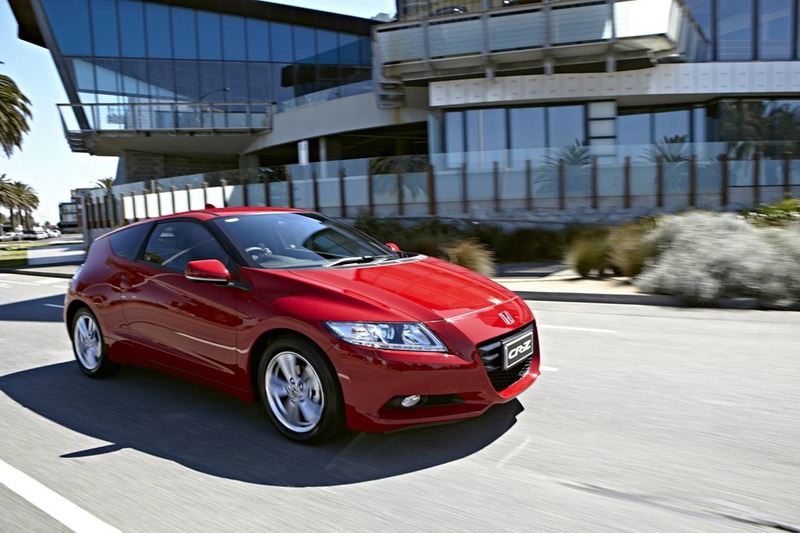 Honda’s CRZ HYBRID vs Peugeot’s RCZ: Answers to questions you didn’t ask! In a spasm of sisterly generosity, we decided to get our two favourite sports cars together for a hot date. The motives were not just a collection of random ideas of a nebulous and essentially irrelevant nature, but rather deep and primal need to answer a question which has been on the lip of everyone’s tips: What is better value, a Hybrid sports car or a French coupe with a BMW engine? The answer isn’t an easy one to reach because the question isn’t a straightforward one and each has its own charm. Neither is overwhelmed with power and torque, and both are as cute as hell. 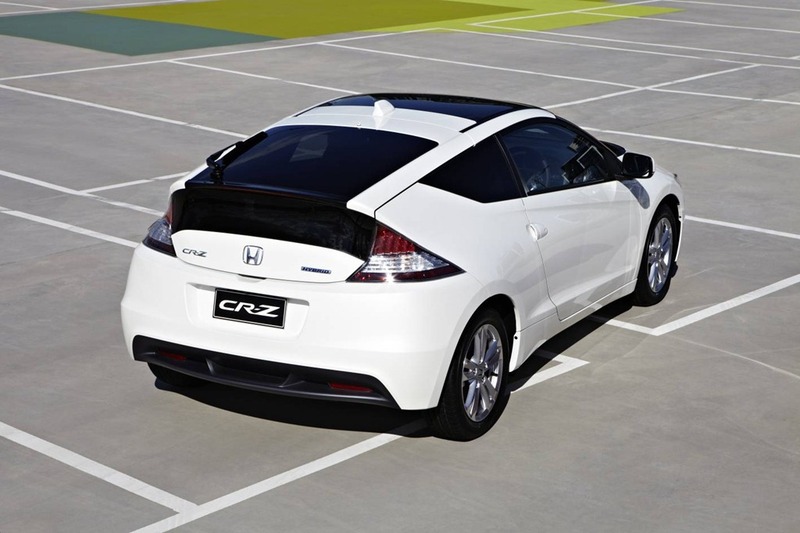 Honda CRZ HYBRID and Peugeot RCZ both have cutting edge looks that will age well. The RCZ looks fabulously modern in a slightly retro kind of way. and our first CRZ test got us excited because the word Hybrid never appears alongside the word “sport. No matter who you are, something inside all of us is deeply moved by a note of approval by a fellow motorist. It doesn’t hurt if the note of approval comes from from a super-hot motorist either. On the last occasion in our RCZ, a buff, bare-chested boy of Lebanese appearance glanced nonchalantly from the window of his fully-pimped tradies’ ute He had a huge smile and was waving a hand the size of a dinner plate. All he said was “NNNIIIIIICCCCEEEE”, and then I remembered I was in the Peugeot and that he probably wasn’t talking about me. It elicited an unusually long sigh and I couldn’t help but feel a little downhearted yet excited. Some think the upward sweep in the window line at the rear of the door looks odd, but I disagree. It neatly defines the cabin and frames the front seats. As a whole, the design is sharp and fresh and more importantly well age well. 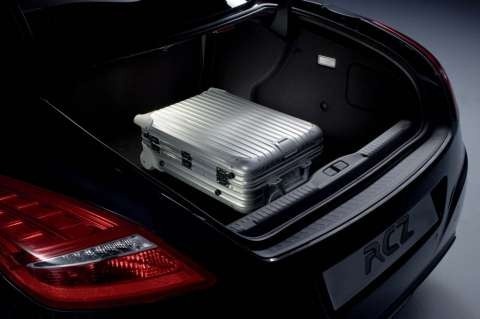 As long as the electrics hold out the RCZ will make an excellent second hand proposition. Like Mazda’s MX5, the RCZ should be considered a classic. The CRZ HYBRID continues a long line of sporty Hondas while keeping true to their established designed language without being strangled by it. There are cues from many models in the range but this car is one that is definitely greater than the sum of its parts. For example, the rear end reminds me of the insight, another Honda Hybrid. In fact you might even imagine it’s what the ’91 CR-X might look like in 2012. 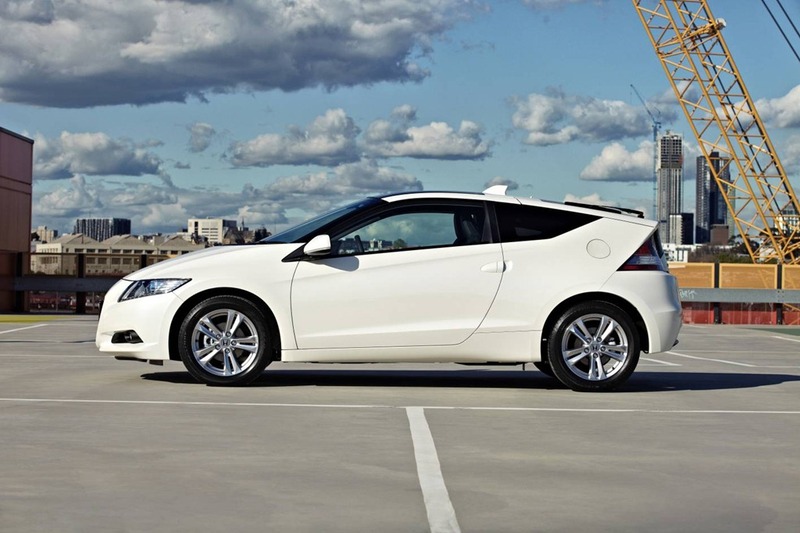 The CRZ HYBRID is a wedge with an edge. It’s designed to make people look at it. 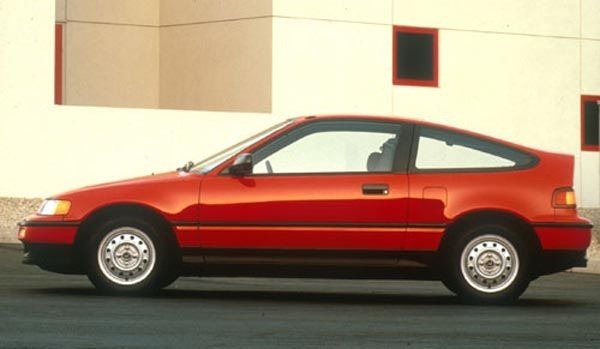 Honda has a long line of sporty coupes in its history and all were right for the time. Does the CRZ HYBRID continue in that vein, or is it a pastiche which has been there, done that? Yes it does but in a modern way, not a half-baked pastiche being offered as a pale imitation of halcyon days long passed. CRZ metalwork looks the part even more so considering batteries and electric engine which lie just beneath. The Luxury model has a fixed full glass roof but my first love is the lower spec Sports Manual. They look the same if you ignore the roof. It’s worth mentioning that the roof line and high-set tail end are meant to aid the fuel-saving hybrid system. The pictures don’t do it justice though as the wedge is far more pronounced in the metal. It’s a sharp looking package in the flesh but you only get an idea of how low it is when you see it parked next to a compact family hatch. Even a brand new family hatch looks a little sad in comparison. The rear end is deeply sculptured with a high-tech look to the light clusters. There is a bar which forms a sharp edge right at the rear of the hatch, or is it the rear of the roof? You be the judge. The only annoying thing is, from the driver’s seat, the bar is in the centre of the field of view in the rear-view mirror. You get used to it but invariably you want to see who is in the car behind and the face is obliterated by the bar. You can imagine how annoying that could be right? THE INSIDE: Here too the differences are clear. From the minute you enter with cabin, the Peugeot has a luxurious feel and eschews the drab and dreary being forced on most buyers. The metal highlights and soft leather leave an impression of quality. The dash, doors and console are covered in leather-look alike stitched into place just like a high-end Euro-snob but at a lower price. The cabin looks crafted rather than constructed and that’s not an easy look to get right. 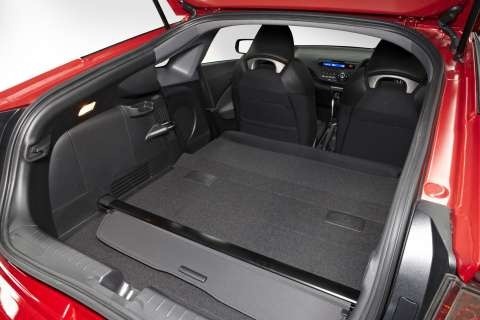 Like the CRZ HYBRID, the RCZ has back seats for midgets only. I prefer to stow a few shopping bags there so they can be caressed between light changes. As with most cars, the addition of a Satnav module brings other goodies associated with the large LCD unit and that is the reason most order one. Either way the console is clearly laid out with distinct zones for each set of controls. Some of the same controls such as the audio, phone and vehicle info are repeated in stalk mounted buttons behind the steering wheel. As you will all know by now, I consider this to be Peugeot’s Achilles heel. Itis being phased out in favour the more conventional wheel mounted buttons Although buttons can clutter, their position facing the driver makes them easily read and understood. The stalk fetish means you either have to read the user guide or continually contort your neck to try and see behind the steering wheel. It’s just plain daft and is very difficult to use. This is hardly very practical when in city traffic and you want to change the radio station. Rusted-on Peugeot-philes will claim these are easy once you get used to them, but no-one should have to get used to something so awful. 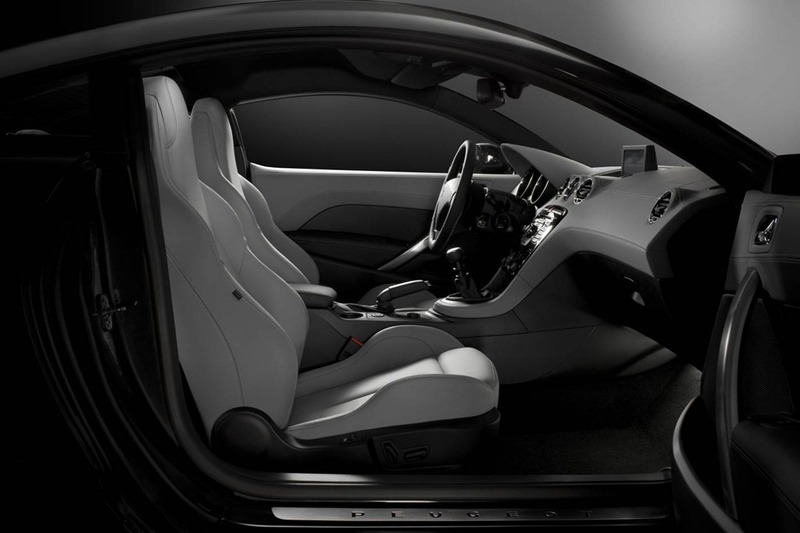 The new 508 has a front mounted layout making it a vast improvement. 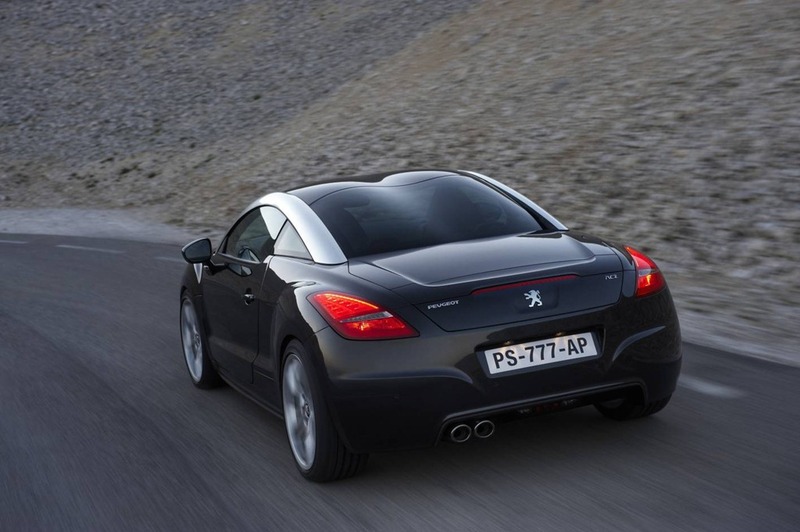 Perhaps the RCZ’s midlife update will consign the stalk controls to distant memory, who can say. I fear that with Peugeot’s current cost cutting, this might just be a distant dream. The seating has good lateral support and although very comfortable, is on the verge of being too firm. Regardless of the firmness they proved perfect on a recent day-trip to Canberra. Because the Peugeot simply begs to be tossed around you quickly learn to appreciate the body hugging design. Peugeot went all out on the excellent sound system which has a rich deep tone. It’s easy to use and a joy to listen to. We tried all types of music and all delivered a high-end performance. We did have a little trouble with our bluetooth streaming but by far the most annoying aspect is how you search your iPhone when connected via USB. With your iPhone plugged in, most systems will allow to you to choose how you search and play your music. 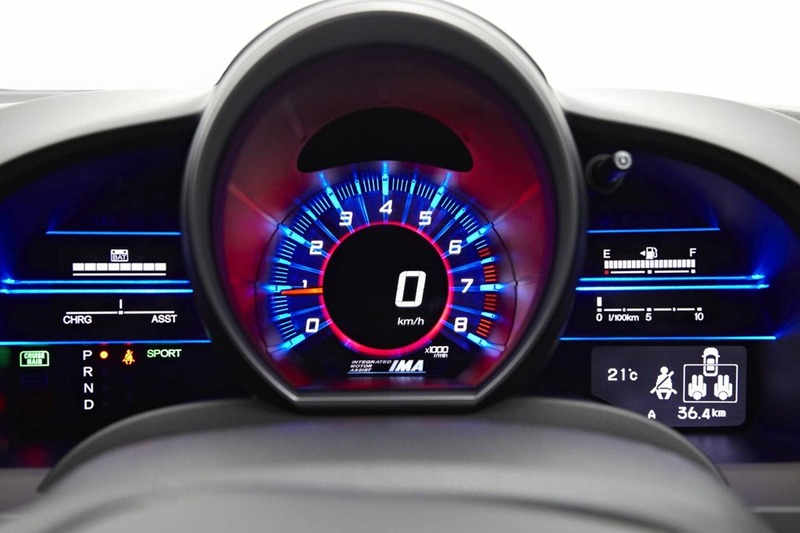 The RCZ insists that you set the parameters in the vehicle configurations menu. In other words you set how you want to search, whether it be by artist or playlist or album before you can actually start listening. If you change your mind and would like to search by artist instead of playlist, you have to go back in to the configurations and change the setting. It’s bonkers but very French. It didn’t always auto-connect to the iPhone on start-up either. The interior design can only be described as superb. The CRZ HYBRID on the other hand had a very young and funky vibe to it. The CRZ HYBRID feels much less luxurious but is more edgy than the RCZ but the top model is 417,000 cheaper than the Peugeot. It’s clearly aimed at a younger buyer. Although the cabin feels well-made and cleverly designed, it feels more “plasticy” than the Peugeot. The metal accents are more often than not merely metalised plastic. I’ve pointed out many times that this rarely lasts and looks dreadful after a few years when it gets scratched and scarred. The real metal equivalent will also get scratched but won’t have the black plastic just under the surface looking tacky and cheap. 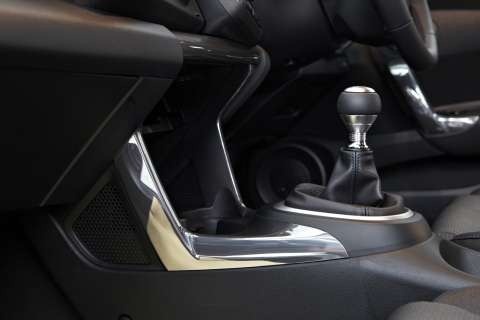 As in the RCZ, the seats are well designed with excellent lateral support to hold you firmly in place during spirited driving. After a few hours in the saddle, the firmness didn’t become tiring so is a good prospect for a longer journey. The dash looks to have been designed by a Gen-Y gamer. It has shades of playstation and Xbox with playful lighting all of which you’ll either love or hate. Perhaps the fresh young look won’t appeal to eceryone but who cares. Importantly the controls all fall easily to hand which means they are easy to use. If you enjoy a more spirited drive, select the “sport” mode every time you start your engine. It changes the steering and engine response and brings the whole car to life. It also make somes of the dash lighting change red which is rather fun. The rear seats are for decoration only unless you are blackmailed into collecting a couple of chums from the airport. We managed to squeeze a very unhappy friend into it on our first drive earlier in the year, but it’s not a place you’d choose to spend much time. If they complain too much tell them to take a taxi instead after all it’s no skin off your nose. Honda’s fabulous Satnav with Suna is only available in the Luxury model. Annoyingly, the luxury only comes with a CVT auto, one of my pet hates. The Sports model has the pov stereo unit which has no audio streaming via bluetooth. Sometimes the marketing departments deserve to be bitchslapped. My perfect CRZ HYBRID would be the Luxury with a manual transmission. The leather, manual gearbox and superb Satnav would be a fabulous combo, but we could drop the gimmicky glass roof without losing too much sleep. Like most panoramic glass roofs, it has an interior shade which can be closed in bright light, but the roof doesn’t open like a regular sunroof making it a useless and expensive toy. If you of a delicate complexion you’ll no doubt keep the roof closed in daylight hours. The Satnav is the same fabulous unit Honda has in the Odyssey and other models. It is easily used without having to consult the user guide every 3 minutes. As I mentioned, the Satnav only comes with the CVT so if you want to change gears yourself, you’ll need to invest in a windscreen mount for your iPhone equipped with Navigon or TomTom to fill the gap. It’s an odd choice for Honda but perhaps one that will be rectified later. Often it takes car makers a little while to respond to their buying public. I found the cabin both comfy and cosy without being cramped and claustrophobic. Sure it isn’t as luxurious as the Peugeot but it’s every bit as much fun. There is a real sense the CRZ HYBRID being the right vehicle at the right time just like other Honda sports cars..
We played in each car for a full week and felt rather like kids in a candy shop. 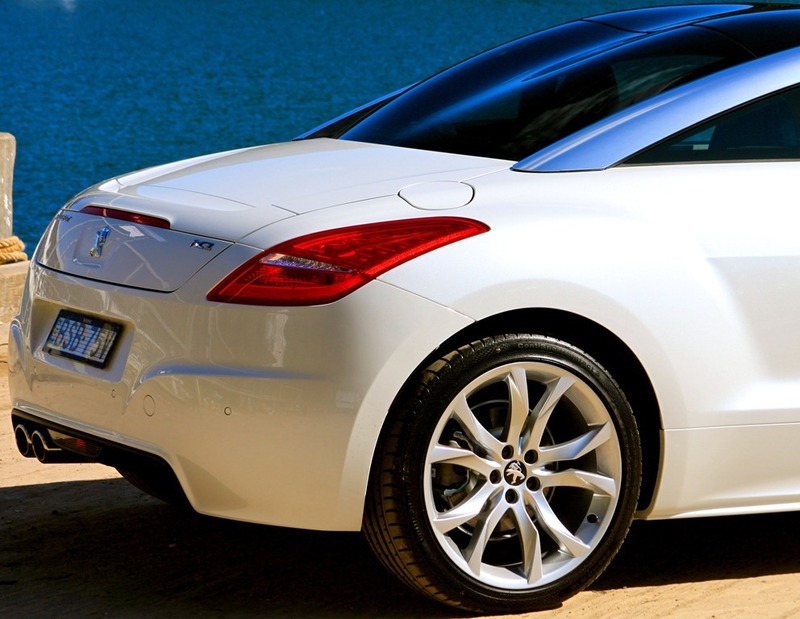 All up, there are 5 variants, 3 in the Peugeot RCZ and 2 in Hondas CRZ HYBRID. I have a preference in each, for the RCZ it would be the 147KW manual turbo petrol and the Honda CRZ HYBRID is the Sports Manual. Although I love a manual, an auto transmission is best for the city. Since I dislike CVT’s so much the Luxury CRZ HYBRID is out for me despite the loss of the Satnav and the absence of leather. The Pug has a similar problem in so far as the superb 6sp auto is only available in the 115KW motor. If you want the extra chilli of the 147KW model you’ll need a manual licence. Again I feel compelled to say both marketing departments need bitchslapping. Honda needs to offer that truly magnificent 6sp manual in the Luxury CRZ HYBRID, and Peugeot need to have an auto option in the fabulous 147KW turbo petrol. Better still both cars cost a lot of money so the Satnav should be standard with a reverse camera thrown in for good measure. The CRZ HYBRID we had this week was the Sport Manual. The 91KW hybrid is claimed to have a combined fuel figure of 4.7L/1ooK but we never got better than 6 L/100k. We realised early in the peace that the published fuel figures were done in a hermetically sealed lab by men in white coats with machines that go “bing”. The real world rarely achieves those results, besides Sports Mode will bring a guaranteed smile to even the most hardened handbag of a face. Regulars will know I insist on the cabin being kept at arctic temperatures at all times which the Honda air has no trouble with. In tight corners the car tends to a bit of understeer but the onboard electronic nannies prevent a catastrophically flick to oversteer. I drove an older model Porsche once that tried to kill me in just such a way. My driving skills fall distinctly short of stuntman standard and spinning backward off a roundabout into a bush would be very unpleasant. In several tight corners I failed to wash of sufficient speed and could feel the Honda scrambling to make me look a better driver than I actually am. The electric steering is a delight. Once upon a time such steering was devoid of any road feel but a combination of clever weighting, and the driver overcoming a certain amount of unfair prejudice, has revealed super sharp steering that is joyous in its ability and willingness. The merest sensation of pressure on the wheel prompts an almost psychic change of direction in the little Honda. What’s more, the handling hasn’t compromised the ride like hot hatches of old that caused teeth to shatter on all but baby-bum smooth tarmac. The CRZ HYBRID has a ride which feels a fair and proper trade-off for such snappy sports-car characteristics. In short, forget the eco-driving and think of her as a sports car and bobs-your-uncle. The hill assist was most welcome even though the gearbox/clutch combo is a delight to use. 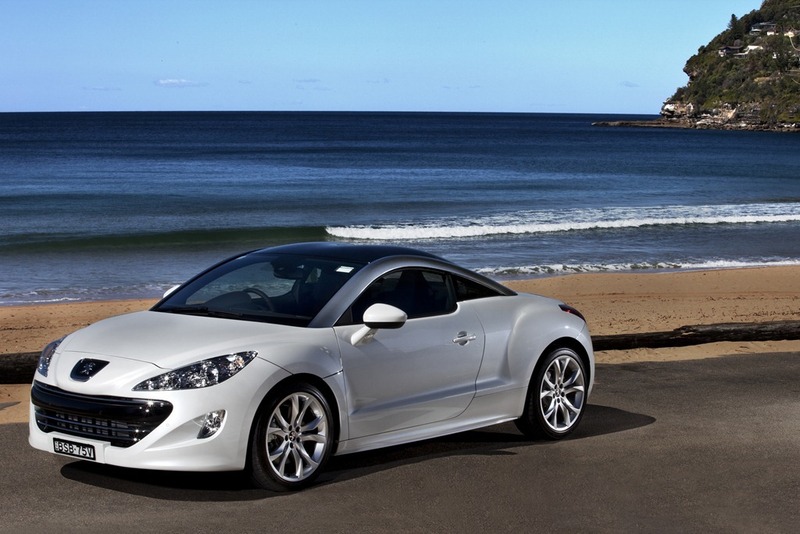 The RCZ is fabulous from start to finish especially if you get your mitts on the superb 147KW manual. Our last drive however was in the 115KW auto but it in no way disgraces itself. The ride and handling is similar in all models. It’s true that the power and torque vary hugely, all present a magnificent experience. In “sports” mode the auto holds gears longer which is essential in the tough capital city traffic snarls. My only complaint is during the switch from left to right hand drive, the buttons for “sports” and “snow” on the wrong wide of the gear shifter and are difficult to see and even harder to use. Like most cars with a sports option, you must select it each time you start the car and select drive. It would be rather more helpful if you could set is as a preference along with the radio, mirror and seat positions depending on which key is used for entry. The Peugeot fairly bristles with clever gadgets such as auto wipers and lights, an active rear spoiler with manual override and bluetooth and USB connectivity. Also worthy of mention is the active bonnet which fires a couple of charges to lift it clear of the engine block in the unfortunate event of a collision with a pedestrian too stupid to get out of your way. My only complaint is the Bluetooth can be a bit pernickety and may need a firm hand, and the air conditioning can be hit and miss. Some Peugeots have Arctic settings whereas other examples of the same model are just not as cold. At first I thought it was my imagination but I’ve driven too many of them for it to be a coincidence. The Hill Assist is handy in the manual and something that all cars should have standard. Something that also should be standard is a rear reversing camera. Although the view backwards is excellent, the length of the boot deck is deceptive and I’ve no doubt there are times when the front and rear parking beepers won’t be quite enough. One thing I discovered which didn’t seem to be covered in the user guide is the fact that the mirrors dip depending on which way you have left the electric adjustment selector. It’s genius. Let me explain, many cars with electric front seats have memory for at least two drivers. Part of that setup may include provision for one or both of the external door mirrors to dip down when reverse is selected. It keeps you from scuffing your hideously expensive alloy wheels or mounting the curb in an unceremonious arrival at your lunch date café. You can set the mirrors by selecting either mirror, shifting into reverse, then moving the mirror to where you want it to go. You then press the seat memory button and either 1 or 2 which then remembers your seat and mirror positions. When you shift out of reverse, your mirror returns to the normal driving position. Most of us move the mirror selector to the middle so we don’t unintentionally change the positions. What Peugeot don’t tell you is that if you do that the mirrors don’t dip. It sounds odd at first until your realise that you don’t always need them to dip in reverse. Whether by design or by accident, moving the mirror selector left, right or centre dictates which mirror dips or if neither dips. I can’t think of another brand who does this and some allow no customisation at all. Like all Peugeots the mirrors fold flat against the door when you lock the car and head indoors for a well earned drinkie. 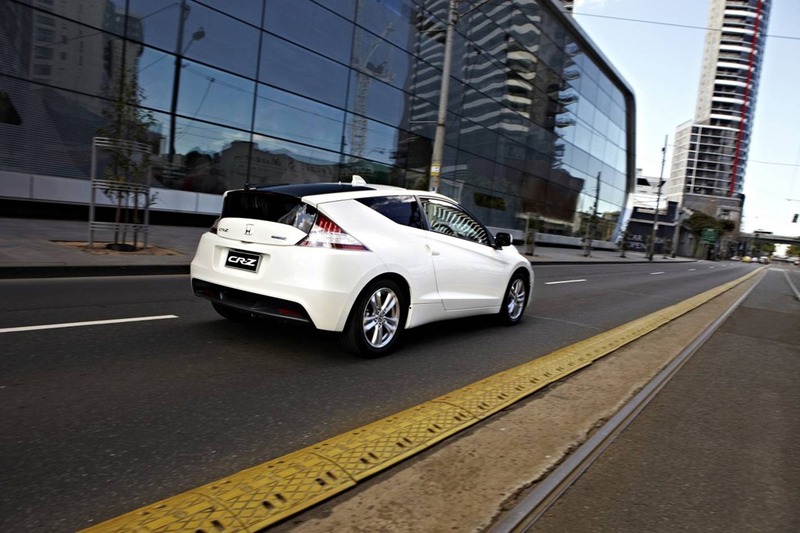 The ride and steering are both excellent as per the CRZ HYBRID. There is more power at your disposal in the RCZ and it which does equate to more fun especially in those tight mountain passes. 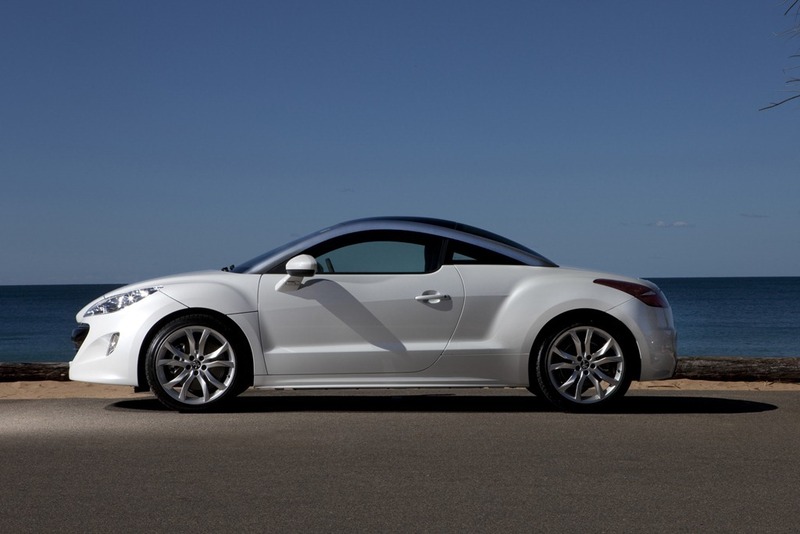 The RCZ is a nose ahead of the CRZ and handles as though as though on rails. Only the most enthusiastic cornering will tempt the tyres to let out squeals of mercy but even then she will not let go. Keeping the revs up will ensure the turbo petrol 1.6 is singing. This makes sure the power is on hand at all times. The diesel isn’t quite as rewarding but then those who buy diesels know they are not going to get the same performance as they would in a non-oil burner. Both turbo-petrol engines are the same as those in the BMW’s Mini Cooper and Mini Cooper S.
Peugeot has priced all the RCZ models at the same level at around $62,000 drive away. The Auto 115KW and manual 147KW engines are turbo petrol but you can ask for a 120KW turbo diesel if you insist on feeling like you’re being green. The CRZ HYBRID is $39,000 for the sport manual, $41,300 for Sport Auto and $44,900 for the Luxury which only comes in CVT auto. It is here where once again I want to prostrate myself at the feet of the Peugeot and Honda gods and beg for auto and manual gearboxes in all models. It’s folly to try and dictate what a buyer can have. Surely marketers are meant to get as much product into as many hands as possible. The CRZ is the only manual HYBRID on the market and it is very good but that is no reason to assume thoe buyers don’t want the Luxury trim level. That kind of reasoning makes no sense. Similarly there are lazy city slickers who would want the fabulous 6 speed auto option in the 147KW RCZ and would not consider a manual. Buyers are not stupid so let them choose what they want. To my surprise we could not recommend one car over the other. Each had their strong points and both had their own forgivable foibles. 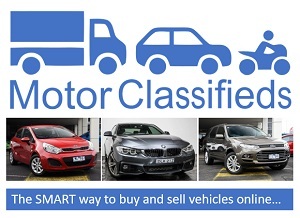 The decision to buy a car is an emotional one and we rarely buy solely on looks, figures, money or recommendations. Suffice to say both the Peugeot RCZ and Honda CRZ HYBRID make you look good. The prices mean they probably won’t appeal to a most Gen-Y-ers, but either is a good option for someone over the age of 30. Most of we GAYers have no kids so who cares about back seat room right? As long as there is room for a handsome passenger all is right with the world. It’s all you need for a great weekend away. So, it seems the two cars are not so different after all. This has obviously been a long time coming, but given the economic conditions of many of the city. Make sure to sure to investigate a number relocation companies to make your move convenient. Her brothers – who consider themselves white – continue to refuse any contact with her. process to the client’s complete needs.